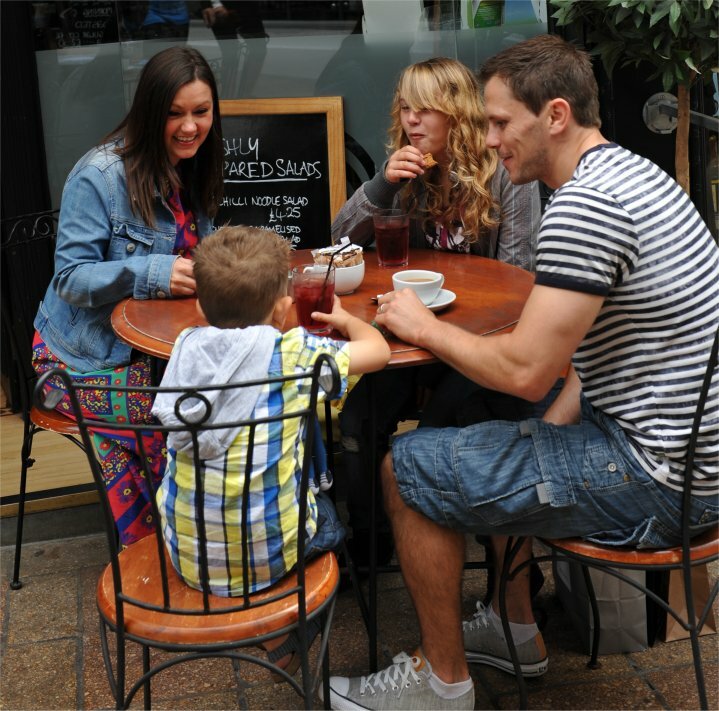 Swansea City Centre has dozens of coffee shops that offer everything from hot drinks and snacks to a full menu that would suit any taste or budget. You will find the larger chains of coffee houses in the City Centre such as Costa Coffee, and Starbucks, but we are also proud offer are some specialty cafes too. Snow Lodge offers a child friendly Alpine themed venue with books and toys for the kids at the very heart of the City Centre in Castle Gardens. Lolek salad and sandwich bar on Castle Street, offers authentic Polish foods. For a more traditional lunch, visit Kardomah the longest serving coffee shop in the city! It is well known for its character, history, and excellent customer service. Tinos on Wind Street has a courtyard so you can enjoy your coffee or meal in the open air and is the first cafe in Swansea to accept bitcoin as currency! We invite you enjoy a well-deserved break from shopping at one of our coffee houses, and if you are a regular visitor, why not try a different place to your usual meeting place with friends or family? Cafes and take aways offer everything from the traditional quiet tea and coffee to new and exotic food and drink such as Thai Taste a thriving and expanding new eatery in the market. Cafe Janet offers tea and coffee in the very heart of the market where you can observe the bustling market around you at your leisure. If you are looking for a carvery then look no further than the specialists Greedy Fellas, Fellas who are well known for their generous and often festively stuffed baguettes. If healthy living is your goal then The Healthier Alternative has you covered. Whether a body builder or someone who just wants to manage their weight. They can help with the offer of a meal prep service to cover all your meals for the week and even healthy treats like delicious dark chocolate protein balls full of fiber and energy.